In large organizations and even in mid-size companies it is easy for us to feel that we cannot do what’s right for customers as well as what’s right for the business. It may be that the processes are against it. It might be that others don’t care. It might be that your manager doesn’t “get it”. But, it has been proven by companies like Starbucks, Costco and Virgin that what’s best for the customer is also best for the business. Customers are happy. This makes staff happy and stockholders are also happy. How do these companies do it? They have been able to infuse everyone with a mindset and set of skills that focus on providing a superior customer experience. Every individual is given permission to lead with the customer and the goal is to win with the customer. 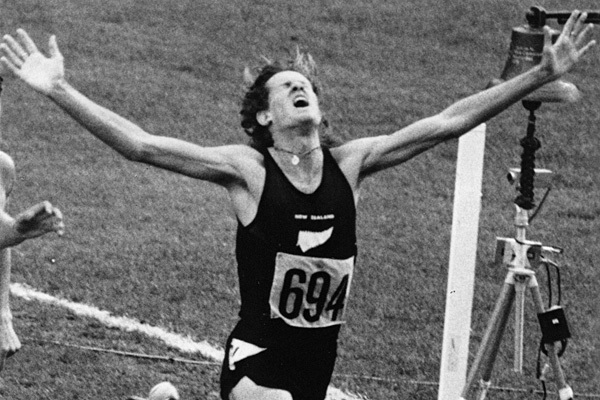 The story of John Walker, the New Zealand 1500 meter runner at the Montreal Olympics, comes to mind. His goal was clear – win the gold medal. So he trained with that in mind. He knew exactly how he would run the race. He would pull to the front with 300 meters to the finish. He would “kick” and never look back until after crossing the line. Nobody would get in his way. So he trained that way on the track. He even trained in his car by moving his car into the fast lane with 300 meters to the turnoff from the freeway to his Auckland suburb. For a year before the Olympics he did this every time on the track and in his car. What happened? He ran the race as planned, “kicked” at the 300 meter mark, didn’t look back, and led the whole field by one yard to the finish and the gold medal. Leading the customer experience race starts with one person. A person who has “winning” with the customer as a clear goal. A person who creates a habit of understanding customers and the alternative choices they have. A person who creates a discipline of doing what’s right for the customer every time. If this is done with perseverance, growing skill and enthusiasm it becomes infectious and others will follow. No matter where in the organization this person sits, he or she is a leader in the customer experience race. This entry was posted in Customer Centric Culture, Customer Experience, Customer Insight, Uncategorized and tagged customer experience;competitive insight;john walker;customer experience strategy. Bookmark the permalink.